In the tasks console within vCenter you will see the VMs being reconfigured and powering on. 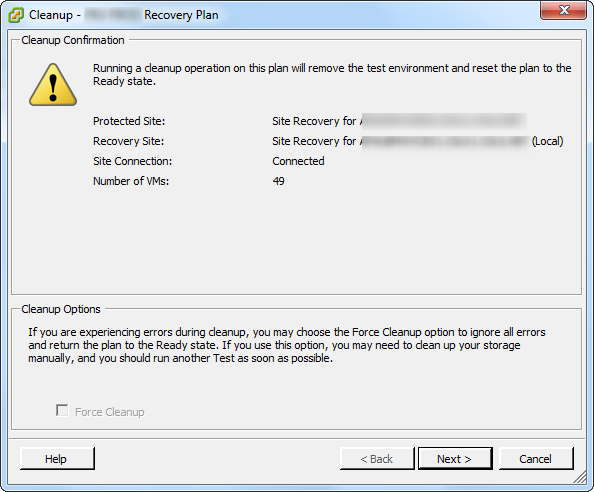 Take a look at the Recovery Steps within SRM and you can see the list of tasks as they occur. The Priority 1 VMs will power on first and each VM will power on in order. 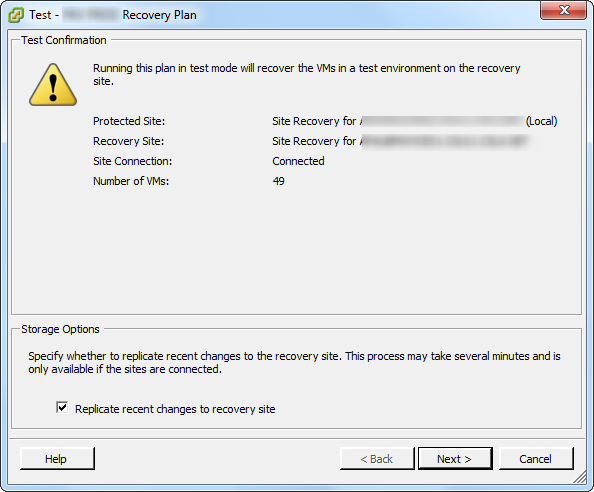 Once all the VMs have completed the Recovery Steps will show successful and if any VMs have problems powering on it will also be listed here. 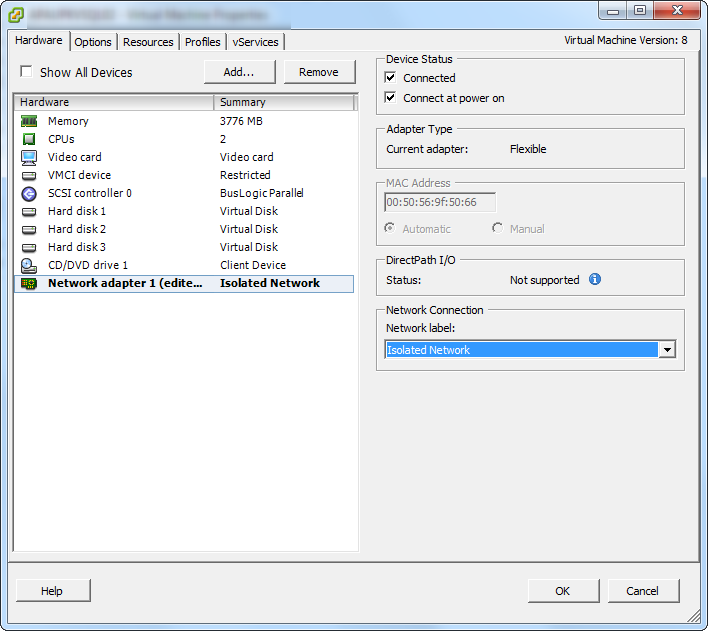 Step 4: Change the DNS settings of the server to be the new IP defined in the computer configuration within SRM. To do this go to a Domain Controller and open DNS then change the IP address of the required server. Step 6: Send a ping request to the new IP address to ensure it is active. If the VM is still not pingable log onto the server and check that the auto-IP configuration has taken effect on the vNIC. As the change in network was required some of the settings may have been lost. Re-enter the IP address if required. Step 7: Next you can hand the VM over to your Applications team to perform testing. Step 8: Once testing has been completed by the applications team and hopefully every test case has been signed off as successful then you can begin to perform the cleanup. The first task is to shutdown the VM in the Recovery site. The cleanup should only take a few minutes. 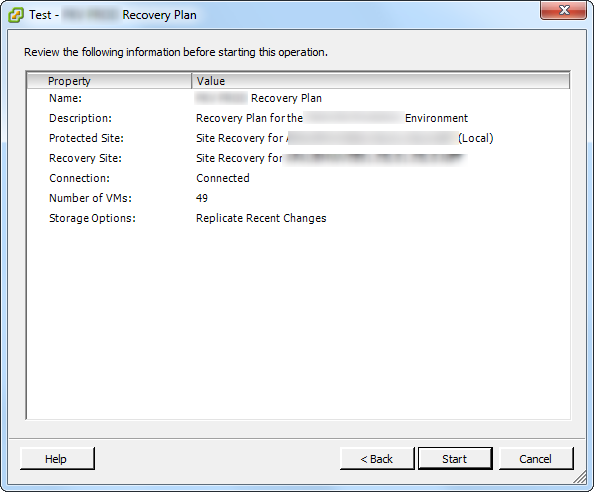 And that’s it, you will have successfully tested the application on just one server in your recovery site. 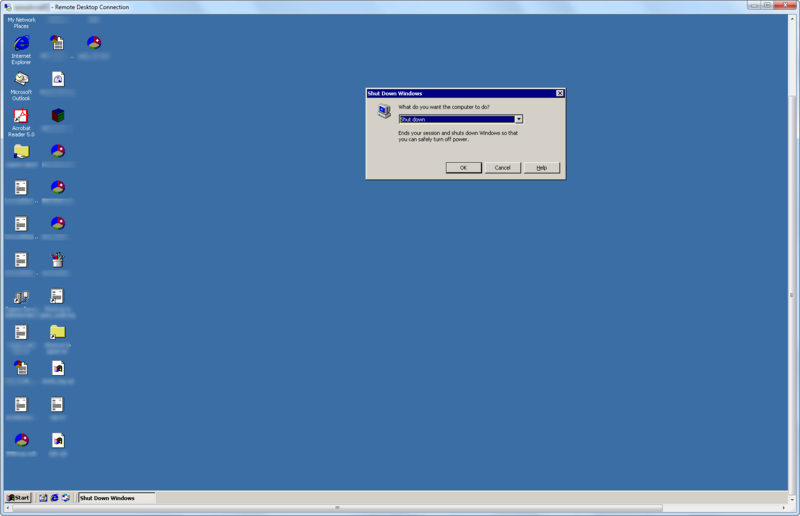 This entry was posted in How-To, SRM and tagged DR, SRM, SRM Failover, Virtual Machine, VMware. Bookmark the permalink.